London: Printed for the Author, 1797. First Edition First Printing . Hardcover. Very Good+/No Jacket. 8vo - over 7¾ - 9¾" tall. This book is clean, tight, square and basically unmarked except for he expected correction on page 111 and the underline on page 8 (but not on 23 and 104). there is also avery small scribble upper corner title page. It has the Poole engraving on the title page which is a bit toned. It has 117, very clear pages with some minimal foxing and lightly toned at the fore edge. It has green marbled end papers gilt edged around the paste downs. It is bound in gilt edged brown leather. 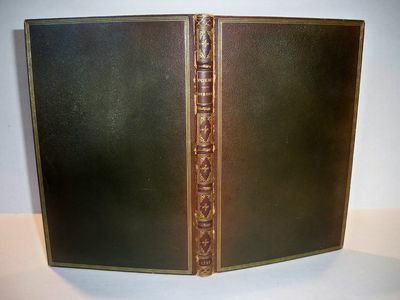 The spine has five raised bands with gilt designs and titles in the panels. the edges of the spine are lighly rubbed.